Despite being one of the city's major shopping areas, it still retains a neighborhood feel with plenty of cafes and coffee shops in which to hang out. 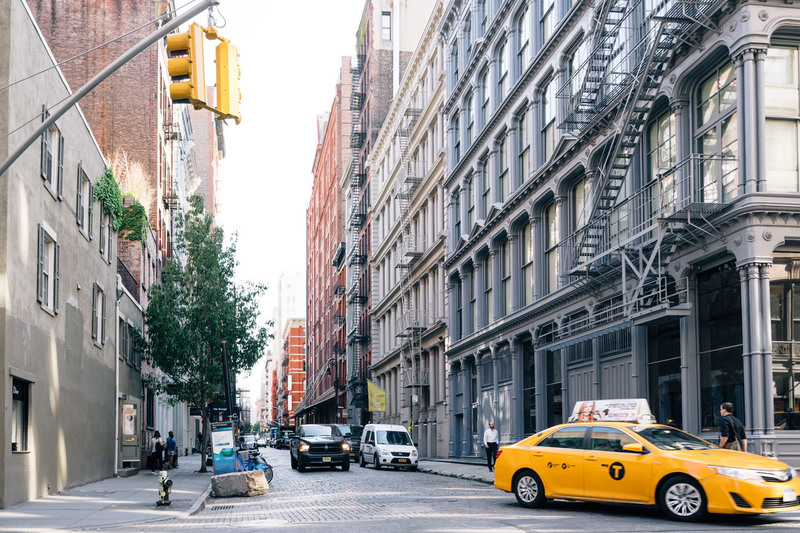 There's something about its wrought iron buildings and cobblestone streets that give it a unique character and remind you that this part of Manhattan has a rich and storied history. 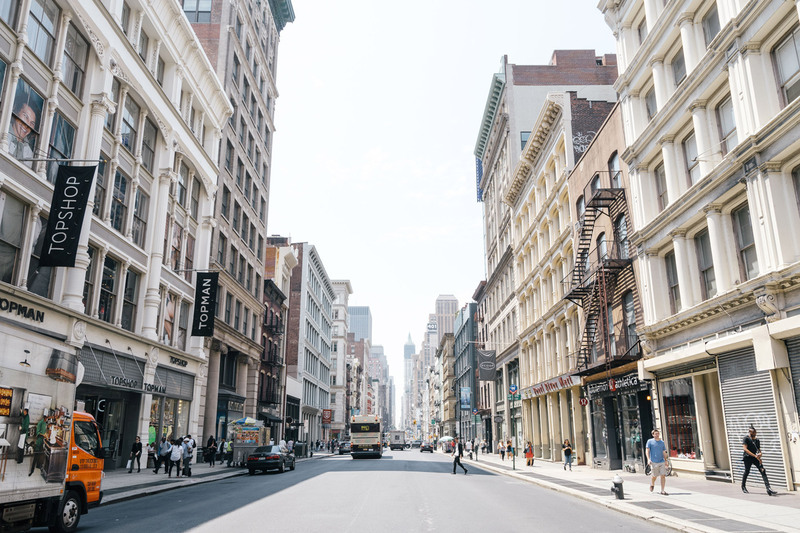 Once famed for its lofts, today it has a lot more to offer with Soho apartments for sale and rent that run the gamut from contemporary to historical. 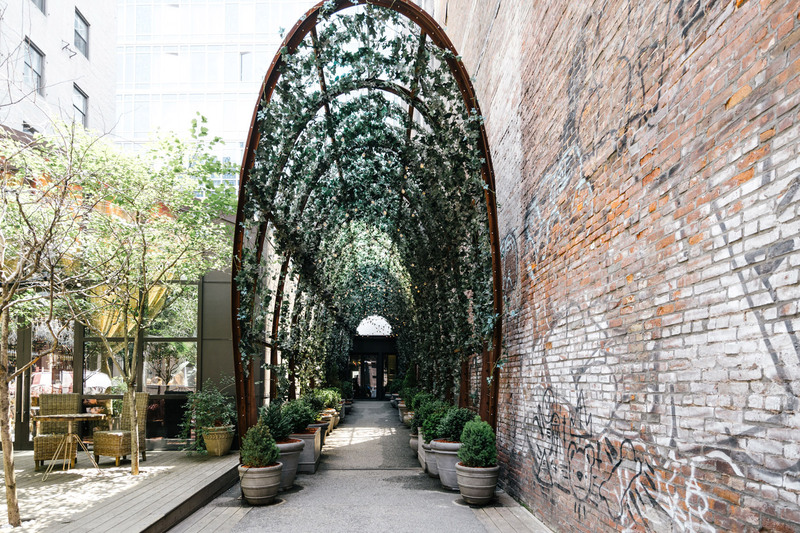 In the Cast Iron District, you'll find characterful properties known for their intricate facades, while the rise of luxury condominiums throughout the neighborhood offer the modern stylings that many crave. Well-preserved 19th century period pieces are often lovingly refurbished with contemporary amenities reflecting the neighborhood's move from the purely bohemian to the super luxurious. Those with more modest budgets can still find single-room studios, while others looking for luxury of penthouse living won't be disappointed either. By the 19th century what had started as farmland had become a lively theater and shopping area but with the rise of a red light district, the middle class began to abandon the area, and small manufacturing concerns took over. These, in turn, gave way to larger enterprises like textile firms and suppliers of wholesale dry goods. Once these businesses moved production out of the neighborhood, large unobstructed Soho loft spaces were left behind. In the sixties, these were soon taken up by artists. Today it's gone back to its roots and is a perhaps the best place in the city to shop, with luxury stores and hip boutiques on every corner. Outside of shopping the best things Soho has to offer are often art-based. For example, the MoMA Design Store offers a range of artistic items from mugs to furniture that would make unique gifts for someone in your life. The LGBT art history of Soho is well served by Museum of Gay and Lesbian Art with an extensive collection of sculptures, paintings, and photos. 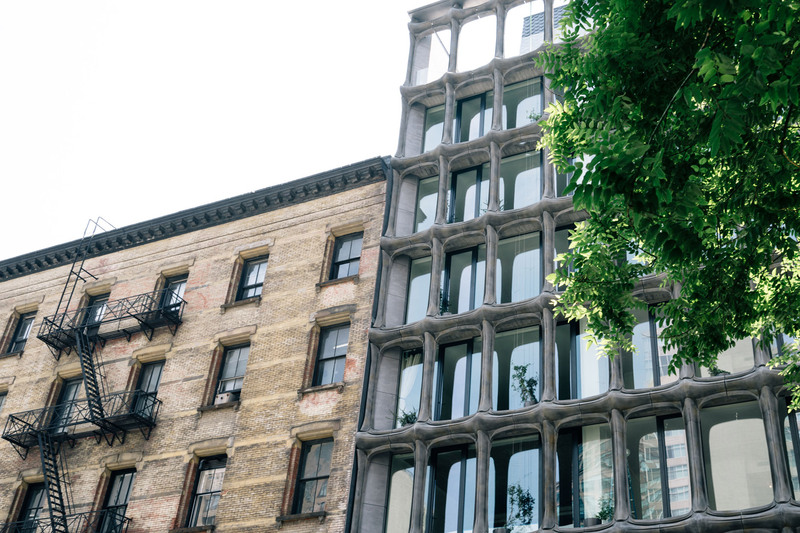 Finally, The Judd Foundation is in the old studio of New York's most famous artist, Donald Judd. A tour of the space will take you back to the heyday of the Downtown art scene. This area was once the prime neighborhood for artists to live and work. Everyone from Basquiat to Cindy Sherman had spaces in Soho, while other famous artists would show their work in its galleries. These days Soho retains its connections with the art world with a number of excellent independent galleries. As its name suggests, The Drawing Center focuses on promoting drawing as a major art form. Founded in 1977, this museum and non-profit exhibition space shows both historical and contemporary works by major artists in the field. The Center for Italian Modern Art shows work by the 20th-century avant-garde artists of Italy, while Peter Freeman Inc focuses on early pop art and other minimalist works. Finally, colorful Eden Fine Art offers a fun perspective on the contemporary art scene. Even shopaholics will become exhausted by the range of possibilities in Soho. From Prada to Louis Vuitton the world of high-end fashion is well represented. Better still are the smaller boutique stores that you'll find on Elizabeth and Mott Street like Lord Willy, who makes tailor-made suits and beautiful shirts. Many brands like Rag & Bone, Moncler, and French label A.P.C also have large stores in the area. Vintage lovers will swoon over the clothing selection of 'What Goes Around Comes Around,' while Francophiles will love the fashion-forward edge supplied by Isabel Marant. Treat your olfactory senses to the pleasure of Santa Maria Novella, the famed Florence-based firm offering soaps, perfumes, bath gels and shaving cream among other grooming products. People who love the outdoors should head for REI, the Seattle based store that carries everything from carrying gear to footwear. Or stop by Aether Apparel, for a more niche designer approach to being in the wild blue yonder. If you'd like to curl up with a good book after all that shopping, McNally Jackson bookstore is one of the best in the city. From long-established favorites like Lucky Strike and Raoul's to contemporary establishments like King, Soho has it all. Let's start with brunch at Balthazar. Something of a Soho institution this super -fancy, high-end French Bistro makes you feel you've been transported to Paris. Alternatively, there's Café Gitanes, for French food with a Moroccan twist and around the corner Café Habana for authentic Cuban food. Offering a delicious pasta rich menu, Osteria Morini serves food from the Emilia-Romagna region of Italy in a farmhouse-style setting. Continuing the world culinary tour, Le Cocou serves up French fine dining in a spacious dining room with elegance to spare. Next, we go to the Iberian Peninsula for Spanish small plates at Bouqueria. While sophisticated, regional American is served at The Dutch, which is justifiably famous for its fried chicken. Of course, you could just go for a delicious burger. Burger& Barrel is the place to enjoy it, with world-class wines and a trendy, convivial crowd. Pegu Club was one of the early pioneers of the craft cocktail boom and their extensive experience shows. Mixologist Audrey Saunders honed her skills at Bemelmans Bar, and her creations are made using only the freshest juices and ingredients. The Handy Liquor Bar is a newer arrival to that scene, but its inviting leather booths and strong cocktails make it a great place to spend an evening. Spring Lounge is a long established bar with great beers, while Von is an intimate space with a mellow, low-key vibe that specializes in wine and craft beers. Finally, Broom Street Bar and Sweet & Vicious are two other classic watering holes that offer a more straight –up, traditional bar experience.